Melissa Corona with the students who graduated from the course. We all have our limitations. There comes a time when we have taken something to the limit of our abilities and we can see where it needs to go but, don’t have the time, skills, or ability to get there. I’ve often prided myself on being able to get things done, on being a problem solver, on being willing to tackle projects that others were afraid of, to start ministries with no funds or resources and to figure it out along the way. I believe that God gave me those gifts so I can use them for His glory, and they have served me well. Yet a few months ago I found myself looking at one of our ministries, seeing where it needed to go, yet knowing that I didn’t have the expertise to get there. I needed help, I prayed for it, and God answered. Ever since we started computer classes 12 years ago, with one broken computer in a small orphanage with twelve girls, I have constantly tried to improve both the quality and scope of our programs. 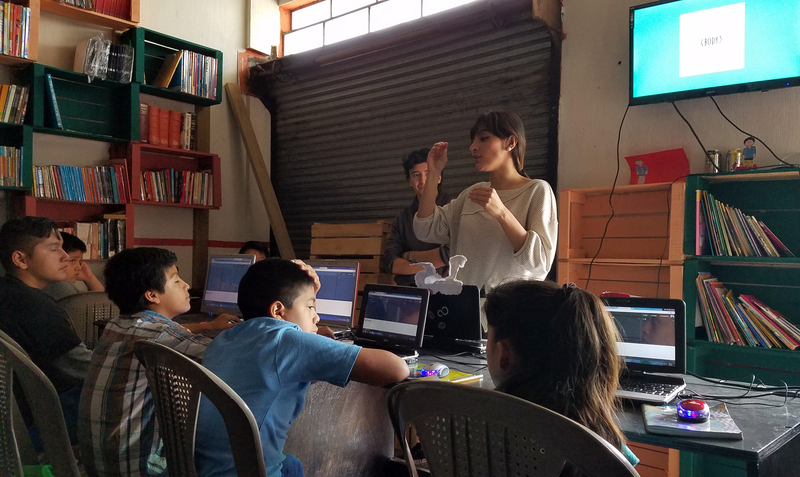 Over the years, through trial and experimentation, we developed a solid computer literacy program that has benefited hundreds of children at schools and orphanages all over Guatemala. While learning basic computer skills and typing is an important part of being able to function in the world today, I always believed that we could go farther with our students. I worked in technology prior to moving to Guatemala to serve fulltime as a missionary. From the day I got here I saw poverty on every side. I didn’t just want to serve the orphaned and vulnerable; I wanted to serve them well. I knew that we had to do more than just say to them “be ye warmed and filled” but that we had to “give them those things that are needful to the body” (James 2:16). So if we were going to teach them the skills they needed to make a living, why not help them make a living in technology? I believe that our work teaching vulnerable children job skills, falls clearly into the “gospel-neighboring” category. But taking children who have never touched a computer, and turning them into computer programmers, is quite a journey. To be honest, I didn’t know how we would get there, so I tackled it like I do everything else I don’t know how to do, by praying, and then jumping in and trying things. My plan was simply to introduce the kids to technology, and see where it went from there, and it worked. Years ago, God led us to one of the more dangerous parts of town called Colonia Santa Fe, and, in partnership with a small school, we implemented a program that taught students computer literacy It started very basic, teaching them how to place their hands on the keyboard, how to use a mouse, typing skills and they progressed to learning to use MS office applications. Eventually we started our own community center and opened it up the whole community. Our enrollment grew to over 100 students coming for Bible and computer classes. We got an internet connection and it was amazing to see students advance within just a few short months from never having touched a computer to doing homework, school reports and making online investigations. More than anything, I could see it was opening up their minds as they realized just how much there was to learn. We started to see students who were especially gifted, had an aptitude for technology, were ready to learn more, and were learning faster than I could figure out how to teach them. It was time to let go, find someone who better knew how to do this, and let them run with it. We did and it was one of the best decisions I have ever made. 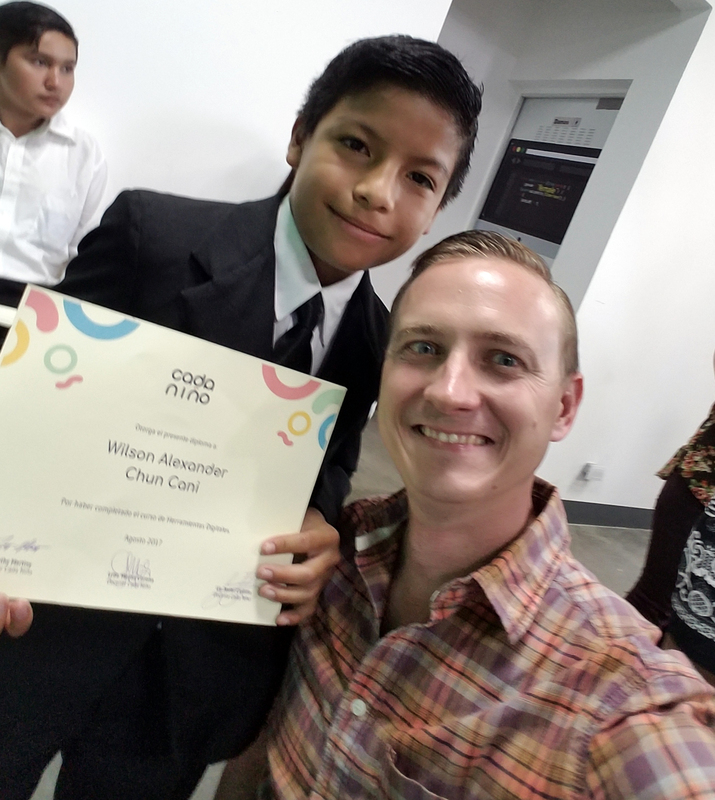 I reached out to one of the only people I knew in the Guatemalan tech sector, an app developer and entrepreneur from church. Within a few minutes he had helped me make a connection that would change everything. Melissa Corona is a web designer at Royale Design Studios in Guatemala and teaches at a university. Though only in her 20’s, she has worked on designing and branding for some of the biggest names in Guatemala. She is an active Christian with a heart of gold. When she heard about our project, she immediately started working on creating a course for our kids. Not only did she design the curriculum, but for two months she came every single week to teach it, and she convinced some other programmers and developers to get involved as well. From her first visit, when she gathered the students in a circle and led them in prayer, I knew that God had brought us someone special. We had 15 of our advanced students in the class, and their progress has been nothing short of astounding. She even brought the kids to visit the design studio where she works. It turned out that the founder of the company was from the same neighborhood where we have our community center. It’s one of the more dangerous parts of the city, with high crime, few opportunities and limited resources. He had started coding as a teenager, opened a business in his garage, and now has one of the top web design companies in the country. Our students had basic computer skills, so this class was able to build on that and teach them to use; g-drive for file sharing, Canva.com for graphics and presentations, google earth for research, and HTML for basic web design. It was amazing to see our students sit through hours of class on Saturday hungry to learn and begging for the class not to stop, then watch them work throughout the week practicing what they had learned. It was everything that I had dreamed of, and more. One thing that really excited me, was to see these young professionals, all of who are tops in their fields, eager to get involved with teaching these kids. The knowledge, passion and excitement they have for what they do, and their enthusiasm for their work, was contagious and the students began to see that they could make a career of this. At the end of the program Melissa organized a fabulous graduation ceremony in her office building. She went all out, recruiting friends and volunteers to decorate the place and purchase gifts for the children, there was a live musical performance by a Christian singer, diplomas and refreshments. The children and families showed up in their Sunday best and our students prepared a skit about the value of a teacher. We gave out diplomas and I was able to say a few words of thanks and give an explanation about our ministry. For me the most beautiful part of the ceremony was when she got up to speak. In sharing about the program and complementing the kids on the progress they had made, she was moved to tears as she described how working with these kids had changed her. She said she was thankful for the opportunity and felt blessed to get to know them and be involved in their lives. Afterwards several of her friends and family came up to me asking about our ministry and how they could help. Mely told me that her company is going to continue to work with us on developing courses for our students and that we could count on them for their help. This two month pilot program will be expanded to the rest of our students over the coming year and the students who finished it will be assisting in the teaching. Our next step will be getting all our students taking classes on www.code.org. Beyond the mere educational value of class, I saw how much our students needed this. They needed to see people like them, not just some American missionary, investing in their lives. They needed people to come in and spend time with them, encourage them, compliment them and validate them as people. They needed to hear from someone who had succeeded to believe that they could do it as well. They needed someone to show them that they mattered. Often times the best example of to us of God’s love, is how it is demonstrated by those we come in contact with. As I look back on this journey, a few things stand out to me. I had to be willing to take those first steps to start our program even though I didn’t fully know what I was doing, had almost no resources and didn’t have it all figured out. 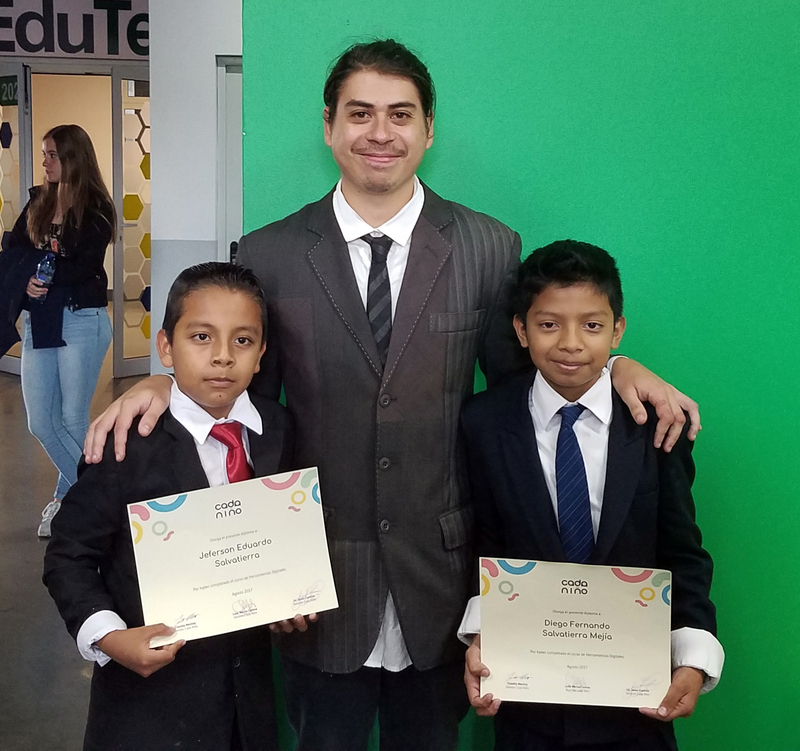 I had to be faithful to stick with the program, slowly building the foundation in these children’s lives, both spiritually through our Bible classes, Bible club and VBS, and educationally by teaching them computer skills. Finally, I had to reach out and partner with people who are experts in their field and let them take it to the next level. In many ways that defines much of what we have done as a missionary over the years. We start programs, get them going, and then empower others to take them and run with it. Understanding that this work is bigger than me, that our investing in these kid’s lives, giving them a safe place to learn, pouring into them spiritually, and equipping them to live a productive life as faithful servants of God, is just one small part of His plan for redemption and restoration of the world. As I look back at how far we have come, where we are now and where we are going, I believe that this is still just the beginning, and the stories we will have to tell in the future, will far outshine the ones we tell now.